"The fleet of Tu-22M3 long-range bombers [NATO reporting name Backfire-C] is expected to be fully modernized by 2018, this process is taking place now very actively. All radio-electronic equipment is being modernized. The most important thing is that the planes are being adapted for carrying modern Kh-32 heavy supersonic missiles," Senator Viktor Bondarev said, as quoted by his press service. The Kh-32 is an air-to-surface missile, the heavily upgraded version of the Kh-22 missile. The missile has been developed by the Russian MKB Raduga aerospace company since the 1980s and has been in use with the Russian military since 2016. The Kh-32 has an operational range of 600-1,000 kilometers and can reach speeds of 4,000-5,000 kph. Its operational range will allow the Tu-22M3 to launch an airstrike without entering an enemy's air defense zone. Bondarev also pointed out that the Tu-22M3 bomber has a great potential for modernization. "This bomber, alongside Tu-160 and Tu-95, ensures the superiority of Russian strategic long-range aviation," he said. Meanwhile, the Russian daily Izvestia reported Friday that a new advanced long-range cruise missile with a longer range is now being developed for Tu-22M3 bombers. According to the newspaper, the new missile, which is currently known under the codename "izdeliye 715," will have a range of several thousand kilometers. The report also reads that the missile will have a brand-new engine, which has specifications close to that of the Kalibr and the Kh-101 cruise missiles. Tu-22M3 is a long-range bomber, which is designed to counter sea and ground targets at a distance of up to 2,200 kilometers with guided missiles and aviation bombs. The first experimental flight was carried out in 1977, and in March 1989 the aircraft finally entered service. 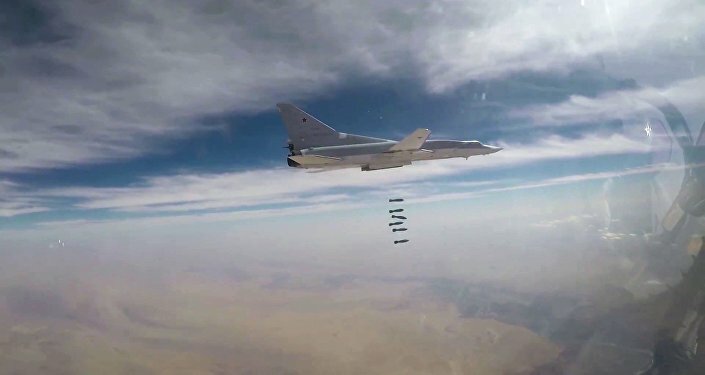 The aircraft has been involved in several military campaigns, including the ongoing operation in Syria, where Tu-22M3 bombers have been striking fear in Daesh terrorists with missiles and bombs.